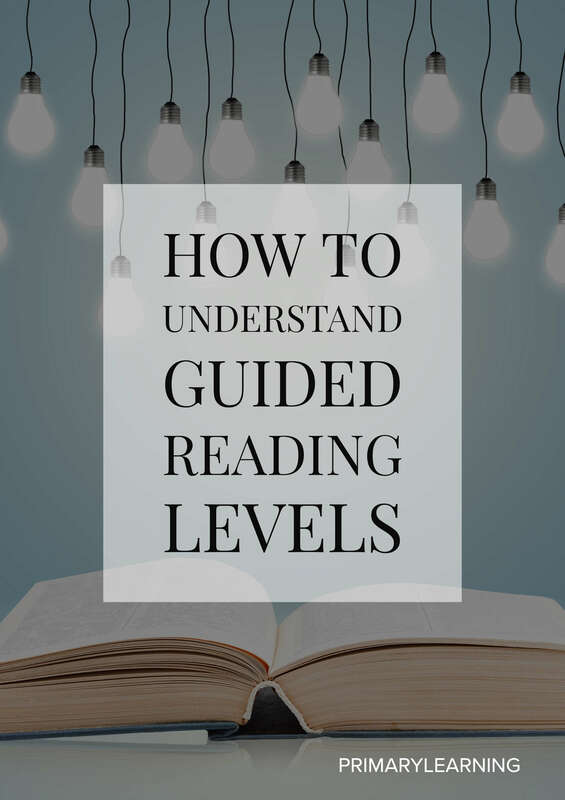 Levelled texts are ideal for guided reading. They allow educators to provide students with books at their instructional level – not too easy and not too difficult. Levelled texts move along a continuum, allowing students to begin with simple books and to progress at their own pace to more complex ones. Level A books tell very simple stories. They feature one short line of text, with a predictable pattern that repeats on each page. The text focuses on a few simple sight words such as “the,” “is,” or “a.” An example of the type of sentence found in level A texts is, “I can read.” This pattern would continue throughout the book, with other sentences such as, “I can jump.” Level A books are highly supported by pictures, which helps beginning readers learn that the words and pictures in a story match. The pictures also help readers solve the unfamiliar words in the story that are not common sight words. In the example, “I can run,” a picture on the opposite page of a child running would help the reader solve the word “run.” Ideally, the child would pair the picture with their letter-sound knowledge and identify that “run” begins with the ‘r’ sound. The print in level A books is large and may contain exaggerated spacing. Level B texts build upon early readers’ growing skills. They feature many of the same characteristics as the previous level, including short sentences, a predictable pattern, common sight words, and sentences supported by pictures. The main difference in level B books is that one or more pages may contain two lines of text instead of just one. This reinforces the concept of reading left to right and introduces the return sweep at the end of the line. Once students reach level C, they are introduced to a number of new features. This includes dialogue, which introduces students to quotation marks, commas, and the word “said.” Level C texts may contain other punctuation as well, such as question marks, exclamation marks, and ellipses. Books at this level may also contain bold words, which provide educators with another excellent teaching point during their guided reading sessions. By level D, students are reading books that contain longer sentences, some of which may have more than six words. Sentences may be split over multiple lines, and there are about two to six lines per page. Level D texts are not highly patterned, making the language less predictable from one page to the next. This is of benefit to students who may have become too reliant on patterns and now have to use more strategies to read the text. Both word length and sentence length increase in level E texts. Readers may have three-syllable words to solve. They may also discover varying words for “said,” such as “cried” and “shouted.” As readers continue to progress through the levels, the storylines also become more complex and have the addition of multiple characters. These features continue in level F texts, along with more detailed illustrations, more complex letter-sound relationships, and more content-specific vocabulary. As storylines become more complex into level G, students are introduced to less common settings, beyond what they may be familiar with in their home, school, and neighborhood. The print may also become smaller in these books, as the number of lines per page increase. Level H books may be part of a series, where characters continue their adventures in various settings. Readers may also be introduced to italics. Level I collections may contain non-fiction selections that contain a table of contents and a glossary. These are text features that educators may wish to focus on during guided reading sessions. Level J collections may include beginning chapter books. Spelling patterns and letter-sound relationships continue to become more complex and the number of lines per page increases. These features continue throughout level K, along with multisyllabic words that require students to use more advanced decoding strategies. Level K texts also contain more pages that are not supported by pictures. By level L, books are describing more complex storylines and also introduce students to more vocabulary they may be unfamiliar with. As readers advance to level M, they will discover more print and fewer pictures, along with more abstract themes and characters. These books provide educators with the opportunity to go more deeply into inferencing and character analysis. Students who are reading at level M have become fluent readers and solve words more automatically. Level N texts continue to expose students to complex plots and multiple, well-developed characters. The non-fiction books in level O collections may contain topics that students need prior knowledge of in order to support their comprehension. In fiction texts, there is an increase in descriptive and figurative language. There continues to be multiple characters that become more complex and change over time. As students progress to level P, themes become more challenging and require students to assume different perspectives. Students are introduced to topics they may have limited experience with. Students may reach level P around the third grade and be reading fluently. They have a wide range of texts they can read independently, including chapter books, informational books, and short stories. Word-solving has become automatic and students continue to increase their vocabulary as they read more complex stories and non-fiction selections.